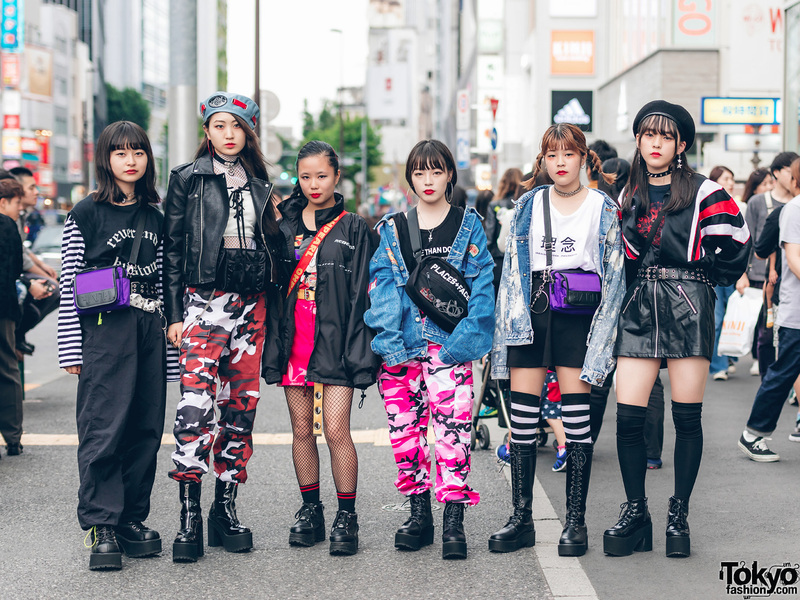 Harajuku girls sporting different dark Japanese streetwear styles while out and about one afternoon. Stylish Japanese girl in vintage purple-and-white kimono, green pants, and peep-toed boots. 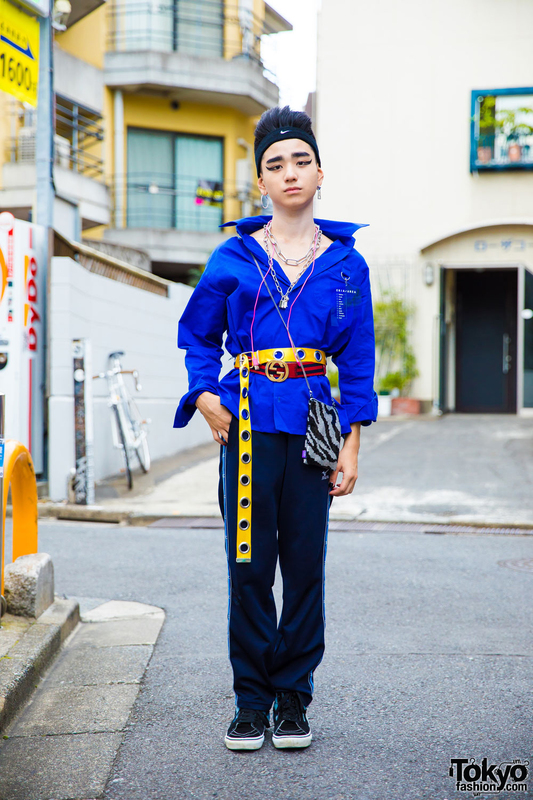 Harajuku student wearing a headband, long sleeve shirt, track pants, sneakers, silver jewelry, a zebra print sling bag, and layered belts.